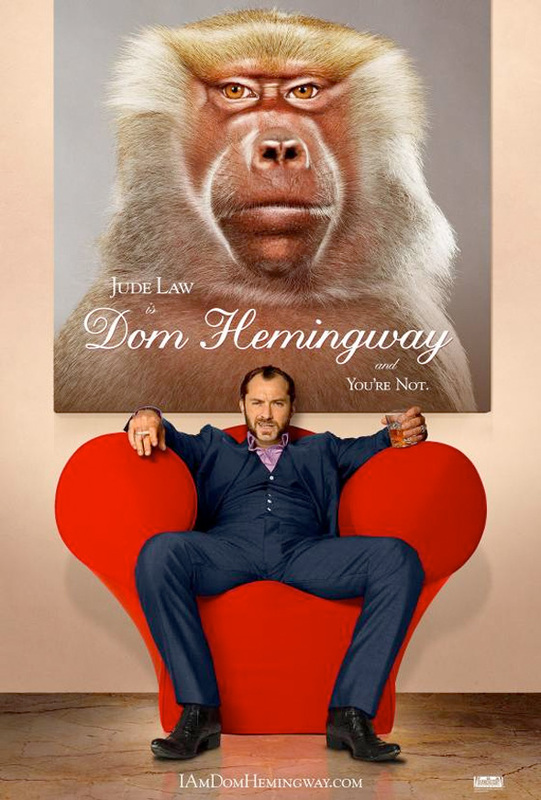 Now that the film is slated to premiere at the 2013 Toronto International Film Festival, the first poster for the comedy Dom Hemingway, starring Jude Law as the title safecracker, has arrived, and it's pretty wild. After spending 12 years in prison for keeping his mouth shut, the notorious Dom Hemingway is back on the streets of London looking to collect what he's owed, but he's also trying to reconnect with an estranged daughter. Law looks cocky as hell, but he's almost upstaged by the giant monkey behind him. This looks like it could be quite an outlandish and fun performance for Law, and hopefully we see a trailer soon. Trying to do a Wes Anderson?